Displaying your social media network activity on your website can have tremendous advantages. It shows your readers that youâ€™re an active participant in your niche and helps you establish yourself as a thought leader. The best part is that displaying your activity is fast and easy in WordPress. To show your social media network (SMN) activity, youâ€™ll parse your accountâ€™s RSS feed. The SimplePie and FeedCache functionalities, which are built into WordPress, allow you to use a simple function called fetch_feed. 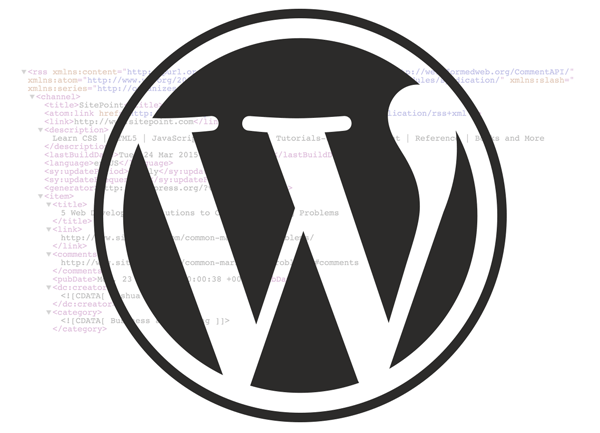 The WordPress Codex has a handy snippet of code available for you, and in this article, weâ€™ll go through the process of finding and parsing your feeds, step by step. First, youâ€™ll have to find your SMNâ€™s specific RSS feed. Weâ€™ll go over three popular SMNs: Facebook, Twitter, and Reddit. For Facebook: Follow these steps, using Zapier to grab the RSS feed from any Facebook page. For Twitter:TwitRSS.me will easily retrive the feed. Now youâ€™ll use the fetch_feed function to retrieve the RSS feed and display it wherever you choose. This code generates a list of 5 links, where each link leads to your recent activity. So if you just posted five threads on Reddit, this code will link to those threads. Copy and paste this code in the sidebar.php file. Make sure to change â€œexample.comâ€� in the above to your RSS feed link. Now weâ€™ll implement the code. For the sake of example, letâ€™s say you want to display the feed in your sidebar. In your Dashboard, navigate to Appearance and then Editor. Youâ€™ll see a list of .php files; click on sidebar.php. Paste your code into this file and click Update File. Youâ€™ll now see your recent SMN activity in your sidebar. This is a simple, flexible method for displaying your activity on social media networks. You can also modify the code to your liking and use it with other .php files. Even though some may call RSS out of date, itâ€™s still a powerful method that allows you to keep your readers updated with your activity.